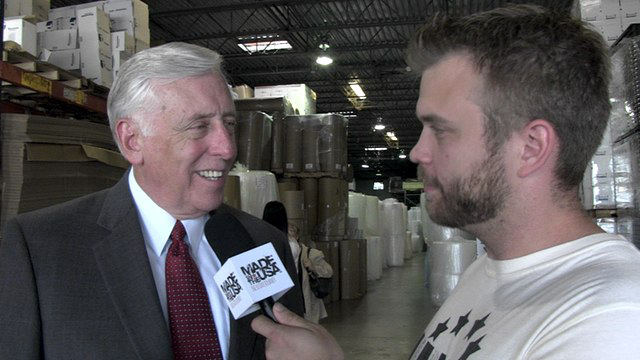 Josh interviews House Minority Whip, Rep. Steny Hoyer. This morning, the team had the opportunity to tour A&M Tape & Packaging along with several members of Congress including Representative Steny Hoyer, Representative Ted Deutsch, Congresswoman Debbie Wasserman Schultz and Representative Alcee L. Hastings. A&M Tape & Packaging is a small business doing big things here in America. It was a pleasure to be able to tour their facility alongside these Congressional leaders. Today’s travels brought up the interesting topic of politics and this movement. 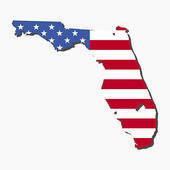 Even though Josh does not believe a successful movement will be dictated by a political party, it is encouraging to see Congressional leaders addressing the Made in America Movement. Josh would also like to thank them for giving us special recognition during their speeches. Later, we met with Julie Reiser of Made in USA Certified whose business is an independent certifier of businesses that make products here in America. Being able to sit down with Julie gave Josh better insight on the true definition of Made in USA.